The best book on getting your most important work done. Read this instead of every other “productivity” book. Effective executives build on strengths— their own strengths, the strengths of their superiors, colleagues, and subordinates; and on the strengths in the situation, that is, on what they can do. They do not build on weakness. Effective executives concentrate on the few major areas where superior performance will produce outstanding results. 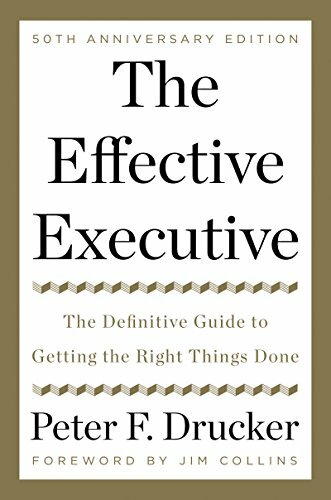 Effective executives, finally, make effective decisions. They know that this is, above all, a matter of system— of the right steps in the right sequence. “Concentration— that is, the courage to impose on time and events his own decision as to what really matters and comes first— is the executive’s only hope of becoming the master of time and events instead of their whipping boy.